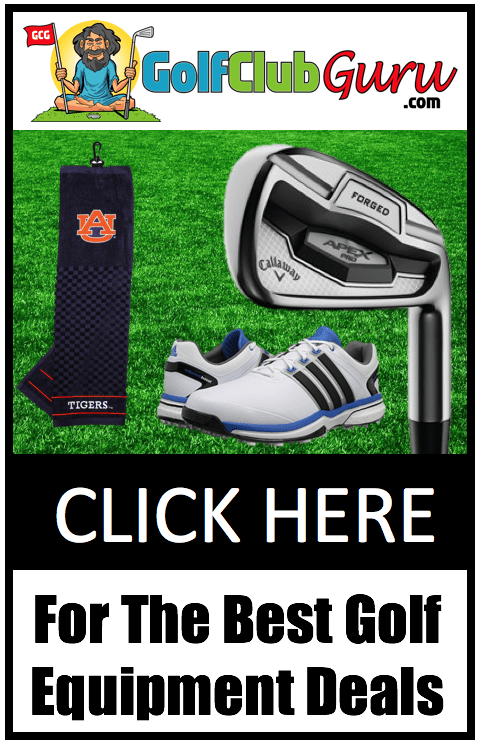 The Game Golf Tracking System has exploded in popularity in the past few years. People (especially golfers) love tracking their progress, and this is a great way to do it. A major problem with amateur golfers is not truly knowing how far they typically hit their clubs. For example, they might think they hit their 8 iron 160 yards. The numbers don’t lie though, as Game Golf might prove that your average 8 iron only flies 145 yards. Having this concrete evidence of your yardages is important, as the data can be used to really dial in one’s golf game. That’s the largest benefit I can see from the Game Golf Tracking System, but there are tons more! You can keep track of your scores. It can give you a shot-by-shot replay so that you can review your mistakes and learn from them. It will give you stats on how often you get up and down, how many putts you hit, etc. Who it’s best for: Golfers that love showing consistent progress, as well as golfers that are very number and data-focused. Pros: Tracks just about everything you could every want when it comes to golf stats. Very easy to set up. One time cost (not month to month like many other similar systems). Cons: Sometimes the system doesn’t collect data on a shot. Other times, it might think that the golf shot happened twice. Pretty rare though, and you can always go back and correct it after the round. I can honestly say that I have been addicted to the golf swing ever since I started. I love hitting certain positions throughout my swing. I love trying to replicate the pros like Louis Oosthuizen, Charl Schwartzel, and Rory McIllroy. The best way to do that (besides simply videoing your golf swing) is to use the Zepp Golf 3D Swing Analyzer. You simply put the gadget on your glove, and it can show you the path of your golf swing on a smart phone app. When it comes to the golf swing, the biggest mistake that beginners make is what’s called coming “over the top”. That’s where they come into the ball on too steep of a path. It’s a very natural movement for many golfers, however, so they truly have to work on not coming over the top. When making this change, many golfers think they are doing it correctly, but odds are, Zepp with prove them otherwise. Again, similar to the Game Golf System, this is just one of the benefits of Zepp. The other main uses are to collect club head speed information and estimated shot distances. Who it’s best for: Golfers that are dedicated to improving their golf swing. 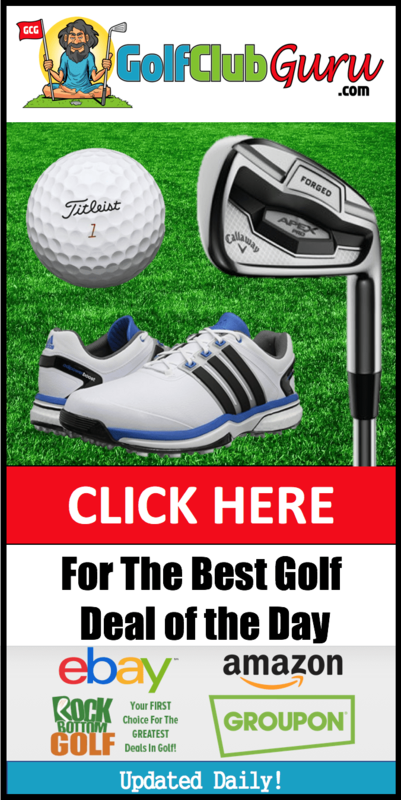 Pros: The best way that I have come across for fixing an over the top golf swing. Cons: Not super accurate club head speeds, as the gadget is tied to your glove, not the actual club head. They make great estimates though. All golfers eventually come to a level where they simply need accurate yardages. When they started out playing, they could simply “eye” how far the flag was. Now though, the difference between 140 yards and 150 yards is HUGE! For that reason, a rangefinder or GPS unit is paramount when golfers start improving significantly. The Golf Buddy Voice 2 is the best value GPS unit out there. You simply tell the unit what course you are playing. It will then walk you though the course hole by hole, telling you how far you are from the center of the green whenever you’d like to know. You can also buy a rangefinder, but they are more expensive. Plus, you typically need to be aiming towards the center of the green anyway, not right at the flag. Who it’s best for: A golfer that is moving from “beginner” to “intermediate” or a golfer that simply wants to be more accurate. Pros: Does exactly what’s needed: gives the distance to the center of the green. Easy to connect. Preloaded with thousands of courses. Cons: Some golfers might want the distance to the actual pin, but I really don’t think it’s needed. The best investment I have made when it comes to golf is this sub-$50 putting green by Putt-A-Bout Grassroots. I used to use it everyday when I was in college. My friends and I have spent hours together having fun competitions. It truly has improved my putting stoke and (more importantly) my ability to putt under pressure. I honestly used to spend many weekend days putting while watching the PGA tour events on TV. There are three holes, and it’s about 9 feet long, so there are a lot of different putts you can hit. Short putts (under 10 feet) are by FAR more important than long putts, by the way. Who it’s best for: ALL golfers that don’t already have one at their home. Pros: 3 holes. Super cheap. Great quality. Great for improving putting stroke and putting under pressure. Cons: I truly cannot think of one. One of the favorite things that I personally have been gifted is this Samsonite Golf Trunk Organizer. It’s great for someone like myself that has a tough time keeping my car clean. It’s so easy to throw my dirty shoes in the trunk. I used to have dirty golf towels all over the car as well. I never did carry around extra golf clothes and socks until I got this gift, either. Now, I put everything golf related into the organizer: golf balls, clothes, towels, gloves, small training aids, shoes, etc. Who it’s best for: A messy golfer or someone that simply loves being organized. Pros: Will keep your car much cleaner, and I really like the dedicated area to golf shoes. Cons: Likely won’t be used by someone unless they truly want to be neater. Hitting balls on the range is great! However, sometimes the weather doesn’t allow for it. Or, you might not live very close to a golf course. Maybe you simply want a more convenient place to practice, like your porch, patio, or basement. If that’s the case, this is a great gift! I used to have a cheap golf net, but I actually ended up hitting a golf ball right through it. It was super poorly made, too, as it wouldn’t have held up outside. The Net Return Pro is by far the best reviewed golf net online. It’s a little expensive, yes, but it is well worth it if you think it will be used for many years to come. It comes with a very sturdy turf mat as well. Who it’s best for: Golfers that are addicted to practicing, or golfers that simply want a more convenient way to hit balls. Pros: Incredible quality. Very efficient and safe. Customized items are another super cool golf related gift. 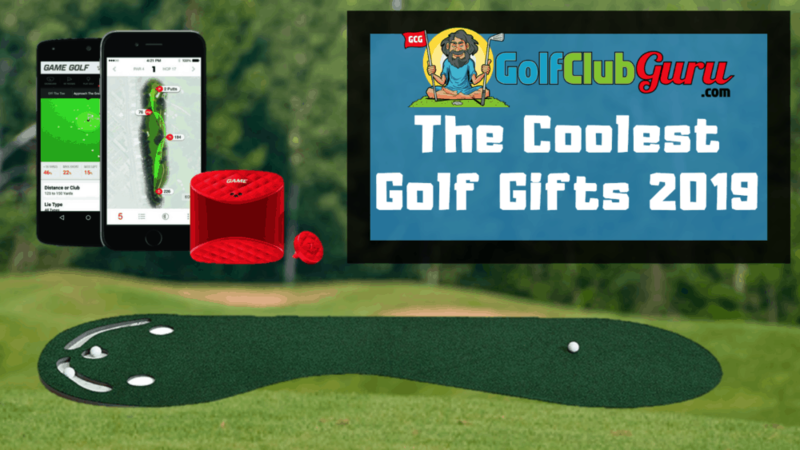 My personal favorite are personalized golf balls or a personalized scorecard holder. Odds are, though, the golf balls will be much more appreciated, as they are more likely to be put to use. My girlfriend’s friend actually gifted me a dozen customized Pro V1x. They had a very inappropriate inside joke on them, and I thought it was absolutely hilarious! And if you don’t want to go the customized route, you could also just give your golfer a dozen uncustomized Titleist Pro V1x. Who it’s best for: Golfers of all skill levels, especially when you have a funny quote or saying about them. Pros: Can be very funny. At the same time, though, they are super useful, as this is the highest quality golf ball on the market. Plus, it doesn’t cost much extra to customize them. Cons: They might find the gift so funny that they are afraid to use them. They would rather just keep them!